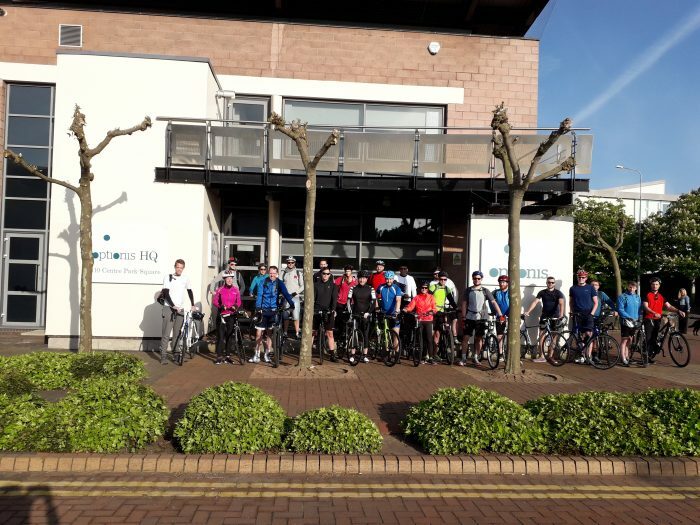 After months of preparation and training, the 23 cyclists taking part in our Office to Office bike ride crossed the finish line in Blackpool on Friday 18th May, after cycling over 50 miles from our Warrington HQ office. 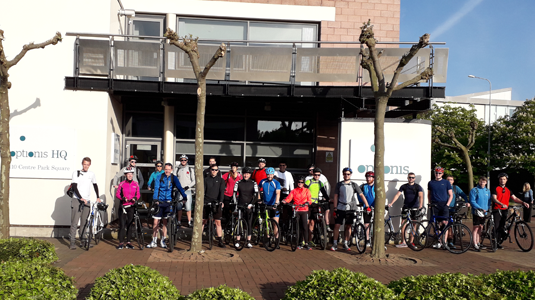 The weather was on their side as the cyclists, including CEO, Derek, and Operations Director, Ifti, set off from Optionis HQ at 7:45am. 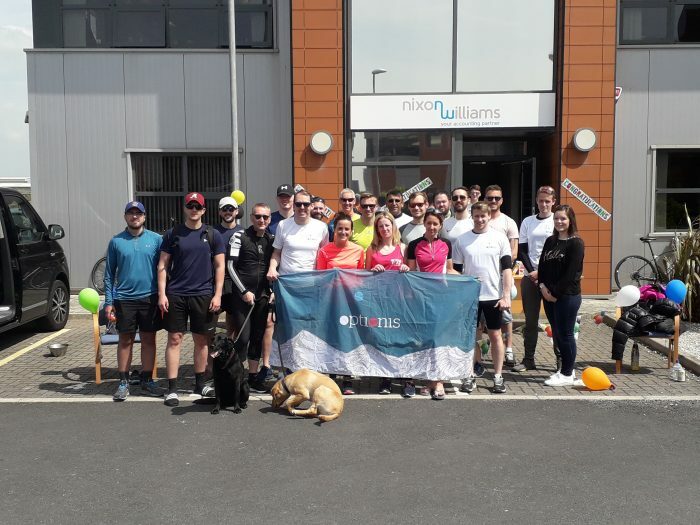 Thankfully, there were no casualties (although surely some sore legs) and, even with two rest stops, by 1:30pm they’d crossed the finish line at our Nixon Williams office in Blackpool. They were met by the cheers and encouragement of their colleagues – and there may have been a celebratory glass of fizz involved as well. The challenge was one of Optionis’ main fundraising initiatives this year, with each participant tasked with raising £100 each. This will add to the overall target of £10,000, which will be split between our chosen charities: Alder Hey Children’s Charity in Liverpool, with the money raised going towards the new Alder Centre, and Keech Hospice Care in Luton. A staggering total of over £3,000 has been raised so far, meaning we’re well on our way to reaching our target. Plus, this will be matched pound for pound through match funding, so that’s £6,000 in total. And, we’re already gearing up for the next challenge, as employees across the country are participating in various Tough Mudder events throughout the summer to help us raise even more money.